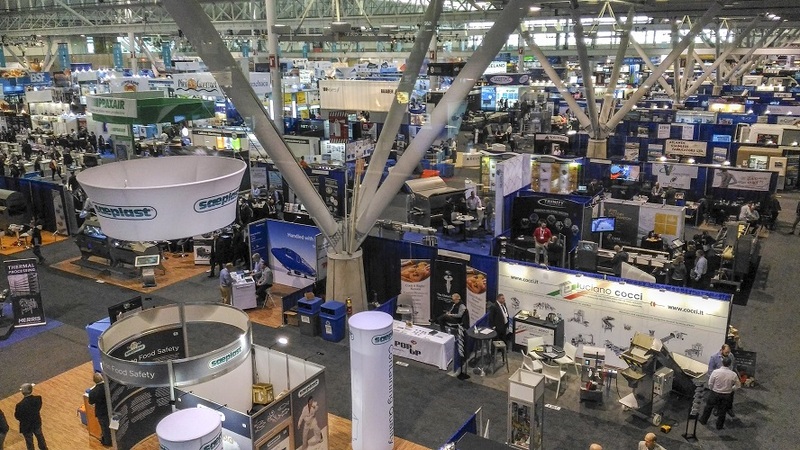 The 39th edition of Seafood Expo North America has been held this year in Boston from March 17 to 19, 2019. 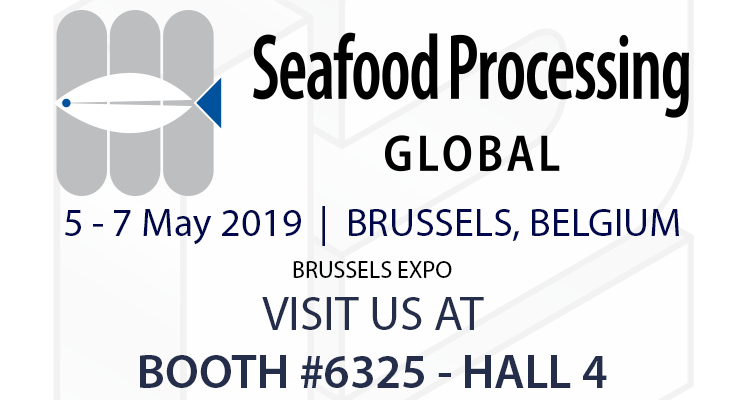 The exhibition is, together with its sister in Brussels, the biggest event of the fishing industry in the Americas, and we we have been present with our booth to show innovative solutions and technologies for the packaging of shellfish. 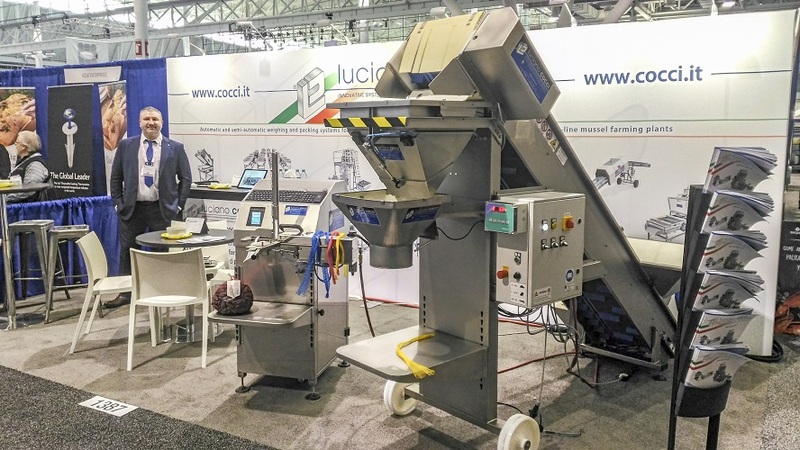 More precisely, we have brought to this exhibition a pair of machines for semi-automatic packaging of live bivalve molluscs (or food products in general) in bags or baskets from 1 to 20 kg: we are talking about the robust and reliable electronic weighing belt and the manual bag closer with thermal printer. We have also shown to our clients the different possible formats of water-resistant thermal tag labels, specifically designed to respect the health safety constraints of Canada and the United States. 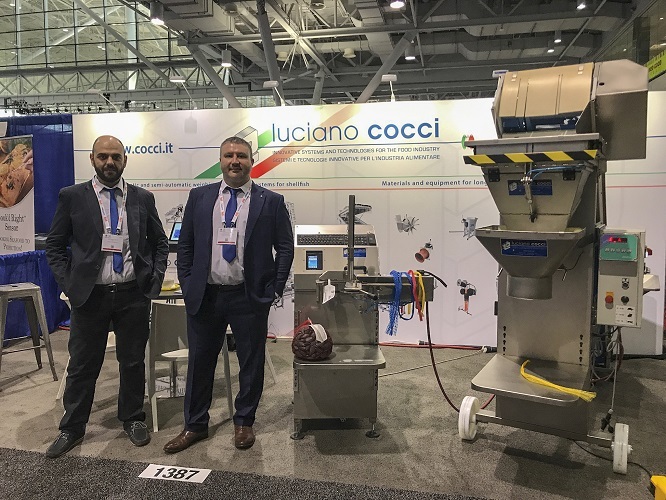 As usual, this year the Seafood Expo North America in Boston, Massachusetts, attracted more than 20,000 professionals and stakeholders in the fish sector who could count on the presence of more than 1,340 exhibitors spread over an area of 48,000 square meters. 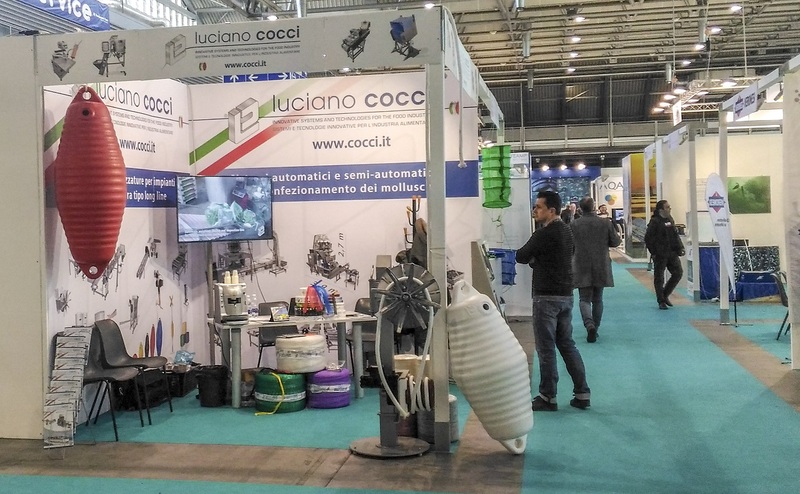 The event was an excellent opportunity to meet old and new friends and customers from the US and Canadian markets, which are beginning to discover and use "made in Italy" technologies for the farming, processing and packaging of clams, oysters and mussels. 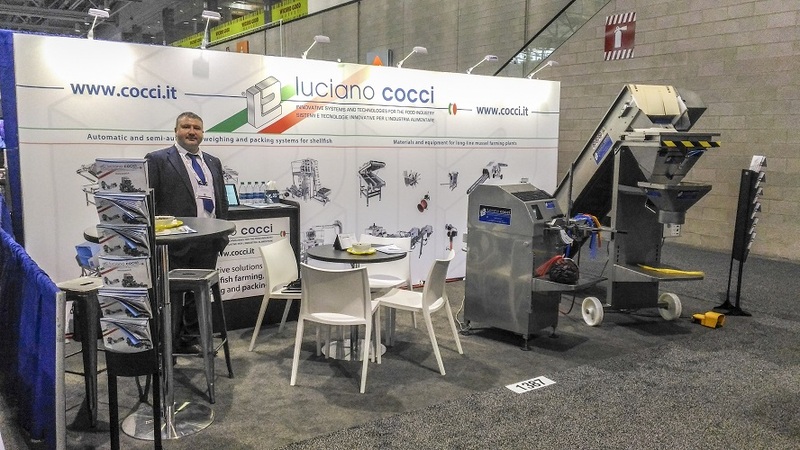 See you next year, always in Boston!